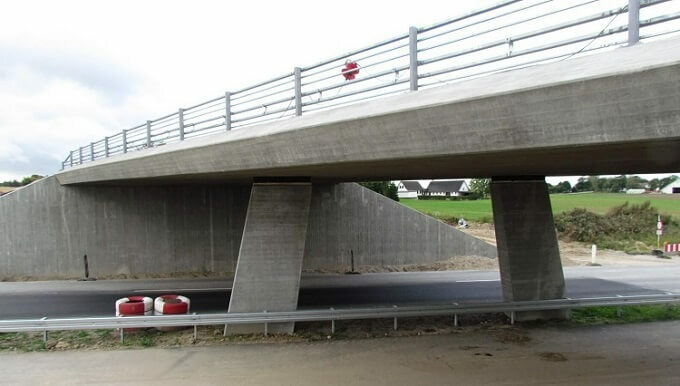 Eurocode 2 part 2 gives a basis for the design of bridges and parts of bridges in plain, reinforced and prestressed concrete made with normal and light weight aggregates. 35 NDPs with 5 National Annexes: United Kingdom - BS, Denmark - DK, France - NF, Switzerland - SN, Sweden - SS. The applications to be used are the same as those for Eurocode 2 part 1-1. The NDPs are accessible directly via the main menu above. You can also explore them by section through the table of contents below. There is no item in the sections with disabled link.